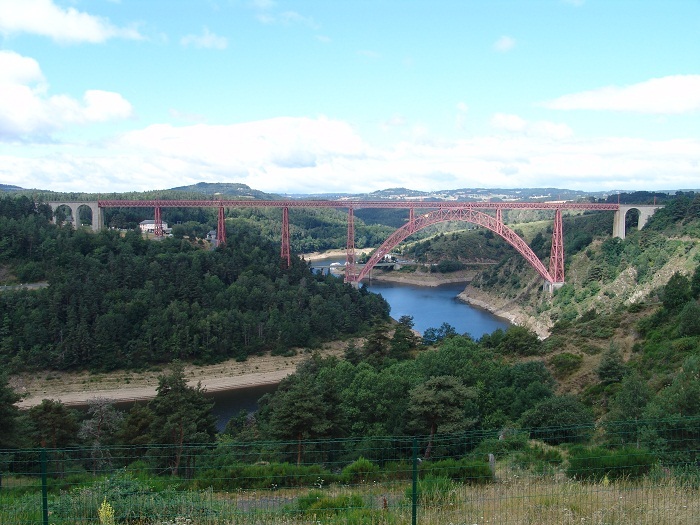 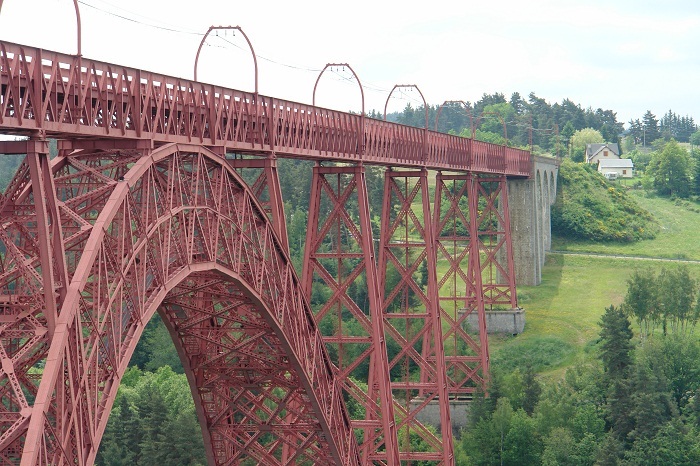 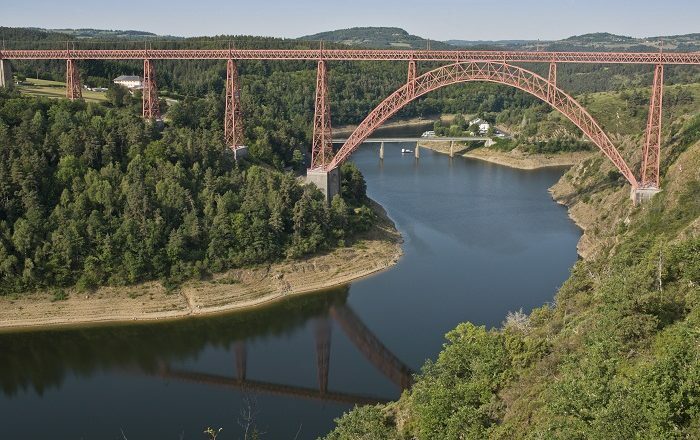 The Garabit Viaduct is an impressive railway arch bridge which was once considered to be among the largest and highest railway arch bridges in the world, it is located near the near Ruynes-en-Margeride Commune of the Cantal Department, within the French Republic. 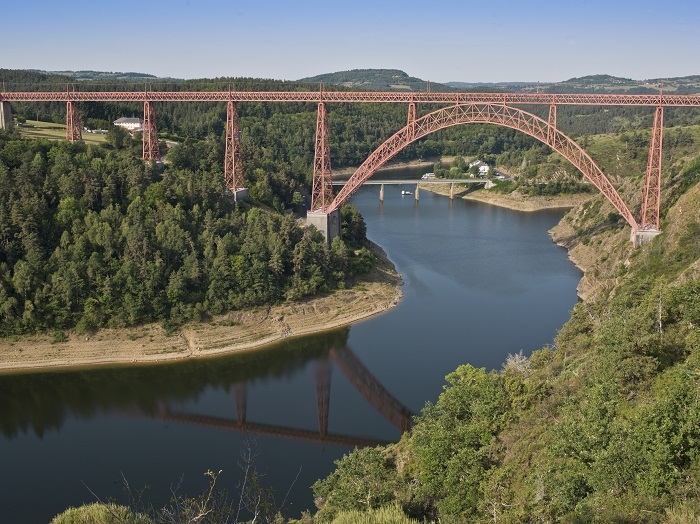 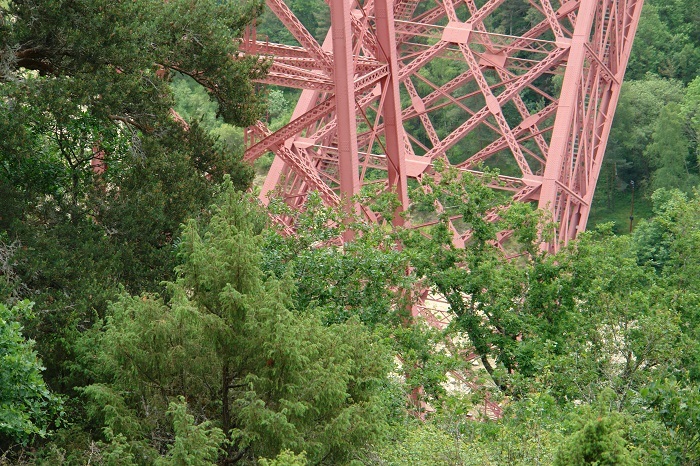 Spanning over the Truyère River, this viaduct is 565 meters (1,854 feet) long, and it was constructed between 1882 and 1884 according to the design of the French civil engineer, Gustave Eiffel. 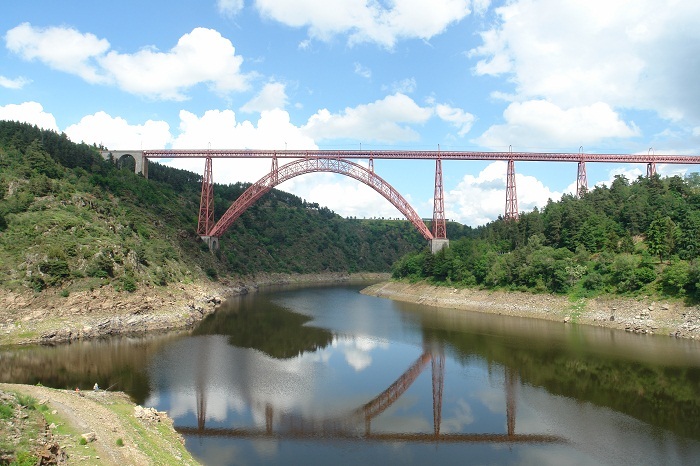 The principal arch that spans over the river is 165 meters (541 feet) long, and it is this huge truss-arch which narrows as it rises is the most interesting feature of the entire structure. 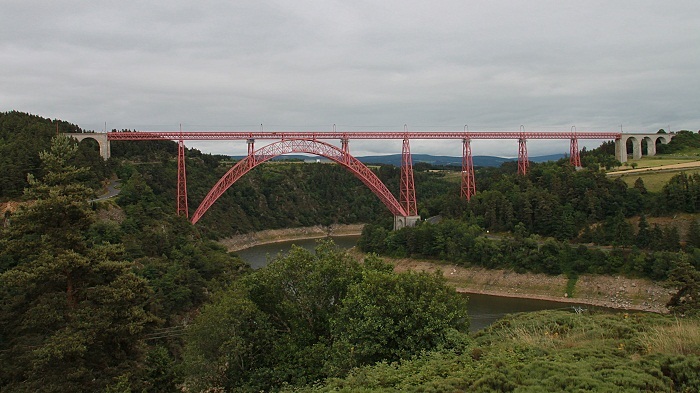 Namely, instead of building the structure with thick, solid beams, Gustave Eiffel used used beams which had a lot of holes in the shape of triangles, called truss. 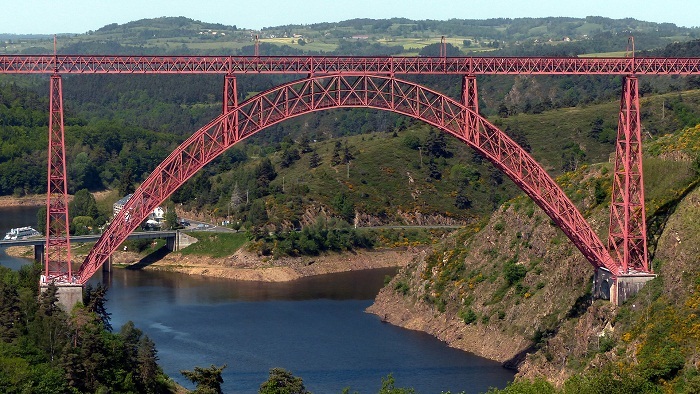 This was done in order for the bridge to weigh less, and most importantly the gusty wind in the narrow valley would blow right through them, making Garabit Viaduct very stable. 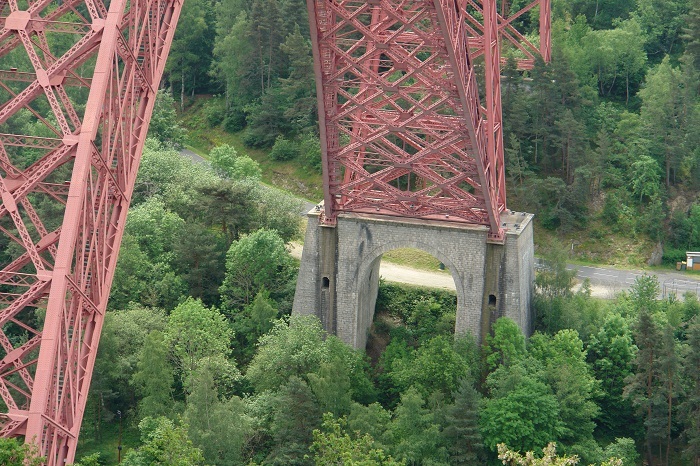 Opened officially in November 1885 with a single track, this impressive structure was closed only once in its long history, where on September 2009 some cracks were discovered in one of the foundation piles. 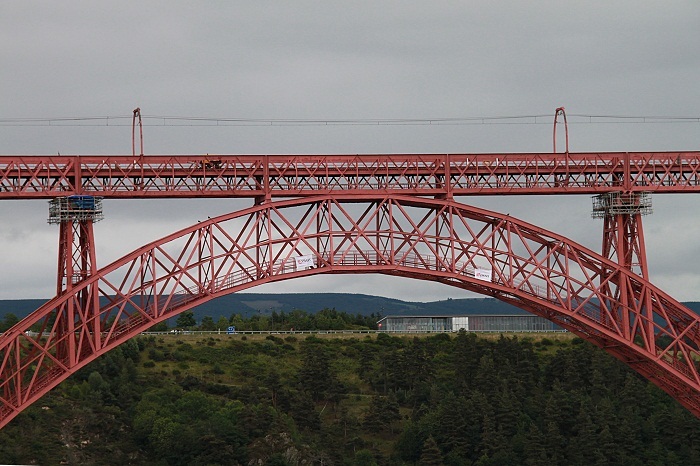 After a month, a safety inspection declared it safe to be used once again, however, this time with a speed limit of 10 km per hour (6 mi per hour), which confirms that Gustave Eiffel has created an architectural and in the same time majestic masterpiece which is well known around the world for its durability and capability.